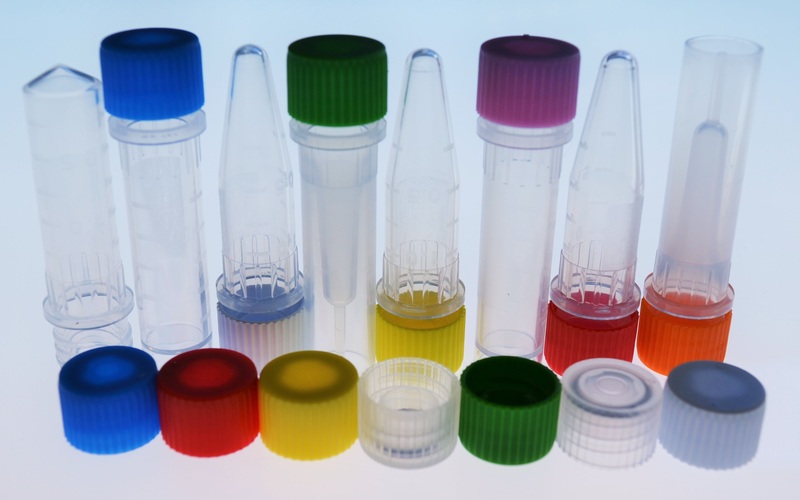 Biostor screw cap polypropylene vials offer superior clarity. They have an RCF rating of 17,000xG. They can withstand temperatures from -80C to +121C. These vials require two full turns of the cap creating a reliable seal. They are autoclavable and fit all standard rotors. The tall caps allow for easier handling. The caps feature an ethylene/polypropylene O-ring for complete sealing. Certified RNase/DNase, DNA, Pyrogens and PCR Inhibitors Free. Tubes and Caps can be ordered separately as described below. (Rainbow Caps = a mixture of white, red, yellow, green and blue caps).